The 2018 Velvet Revolution in Armenia is a historic opportunity for democratic development. 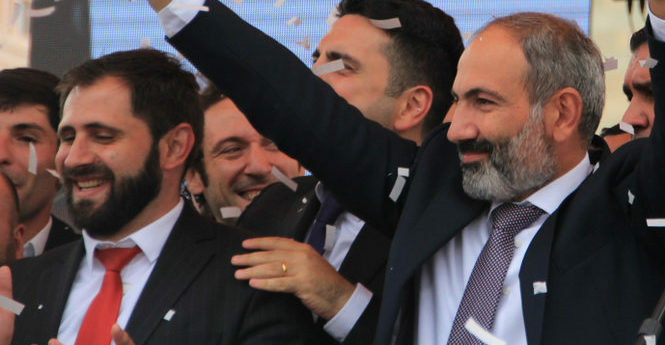 Popular protests led by Nikol Pashinian dislodged the country’s kleptocratic ruling elite, and a new government that promised sweeping domestic reforms was elected at the year’s end. These protests drew on a long history of civil society and opposition organizing in Armenia, in particular postelection protests in 2008, which the government dispersed with violence. The new government faces enormous challenges as it begins to contemplate reforming a system based on corruption and injustice, while still balancing Armenia’s foreign-policy commitments and security concerns.